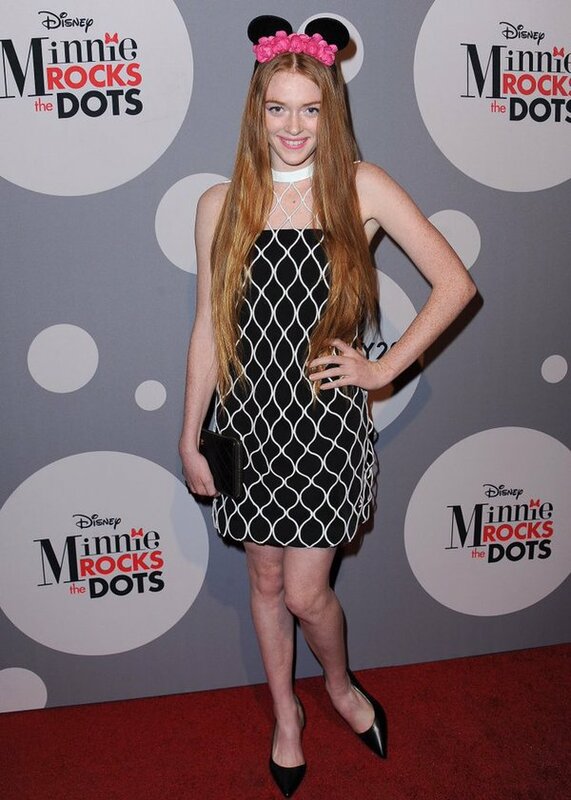 Article: Larsen Thompson Looked Gorgeous At The Minnie Mouse Rocks The Dots Art And Fashion Exhibit! Multi-threat: dancer and model, the wonderful Larsen Thompson looked so gorgeous and radiant as she attended the Minnie Mouse Rocks The Dots Art & Fashion Exhibit on January 22, 2016 in Los Angeles, California. The marvelous Larsen Thompson looked so beautiful in a black and white dress and rocked an incredibly cute pair of Minnie Mouse ears – such a fabulous event attire. The lovely Larsen Thompson had a great time catching up with a lot of her friends at the event including actress Renee Olstead. Check out more photos below of the incredible Larsen Thompson having a blast at the Minnie Mouse Rocks The Dots Art & Fashion Exhibit! I’m glad Larsen Thompson had an excellent time at the event! Previous Article: Marlee Roberts’ Eye-Opening Film “Little Miss Perfect” Premiered At The Closing Night Of The Irvine International Film Festival – See Pictures From The Premiere Here! Next Article: Renee Olstead Rocks The Cutest Minnie Mouse Inspired Outfit At The Minnie Mouse Rocks The Dots Art & Fashion Exhibit!